Welcome back to school! It sure has been a crazy few weeks of winter. We hope you all stayed safe and warm. Enjoy this month’s newsletter! Are you spending Spring Break at home? Rather than drooling over everyone else’s vacation photos plan a Staycation your family will always remember. Catch Opening Day for the Whitecaps or Tigers, See the Butterflies at Meijer Gardens, Sign your kids up for a Spring Break Camp, Go on a Geocaching or Letterboxing Adventure. Don’t forget to grab a treat out on your adventures: ice cream, shakes, soft pretzels, donuts, candy and more. 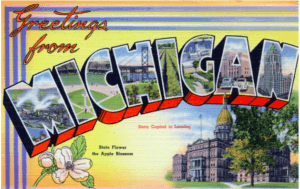 There are so many fun opportunities to make the most of our Mitten state! Use the lists and links below to learn more about each activity and to help you plan a Staycation that will make memories for a lifetime. Please note: Scheduled events and activities are subject to change. 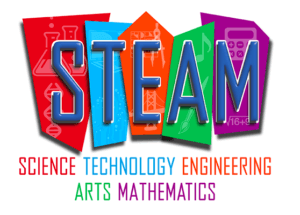 Catholic Central will offer a pathway to the STEAM Designation in the 2019-2020 academic year. This is a program that invites interested students to deeper explore science, technology, engineering, art and math along with faith and reason. This program will supplement their college preparatory coursework with STEAM-designated classes and experiences like site visits, summer classes and internships, lunch career series and volunteer opportunities. Students will also participate in experiences like retreats, book studies, classes and speakers that explore faith and reason in order to deepen their understanding of the ongoing relationship between the Catholic Church, science and technology. Students may opt-in to the program beginning their sophomore year. Upon successful completion, they will receive a designation on their transcript and recognition during senior year. 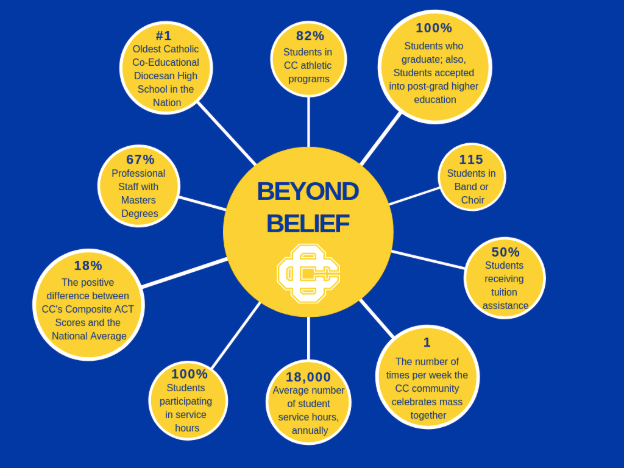 The CC STEAM Designation offers students the opportunity to learn how to continue growing their faith in a reason-centered world and may help students put themselves at a competitive advantage when applying to colleges and universities that offer degrees in STEAM field.